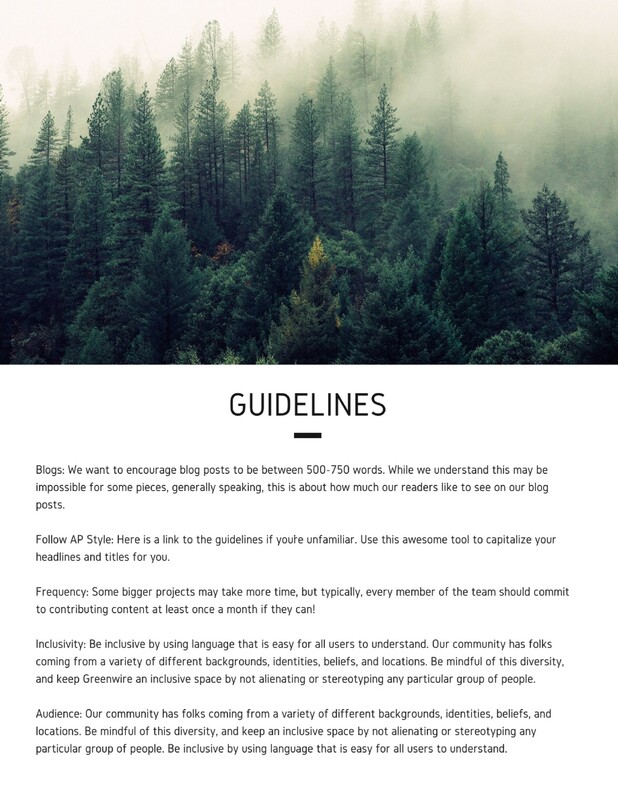 Get Started with the GREEN ZINE! Check out our GETTING STARTED GUIDE. 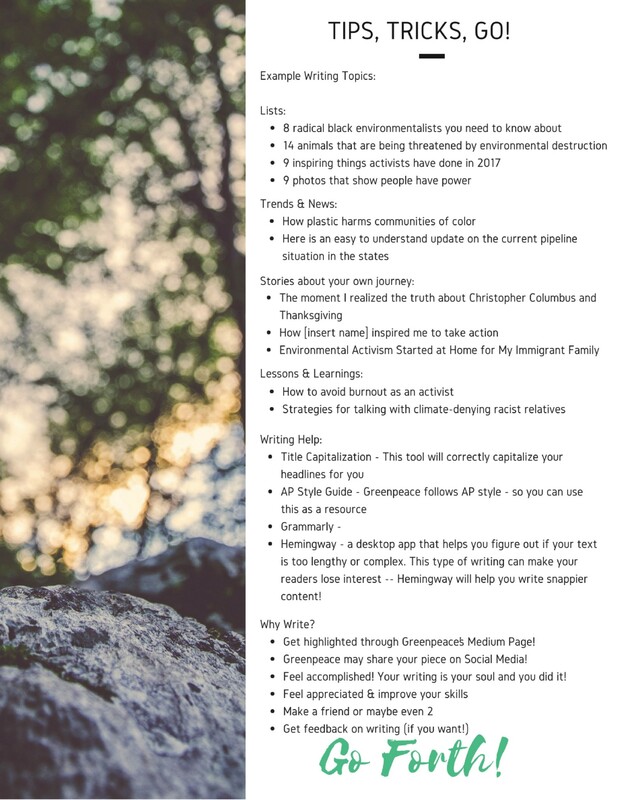 Below are the rest of the steps you need to become a GREEN ZINE contributor! Read our Getting Started Guide! 2. Create an account on Medium! Go to https://medium.com and click on Get Started in the upper right hand corner of the screen. You can sign-up with your Facebook or Gmail account. 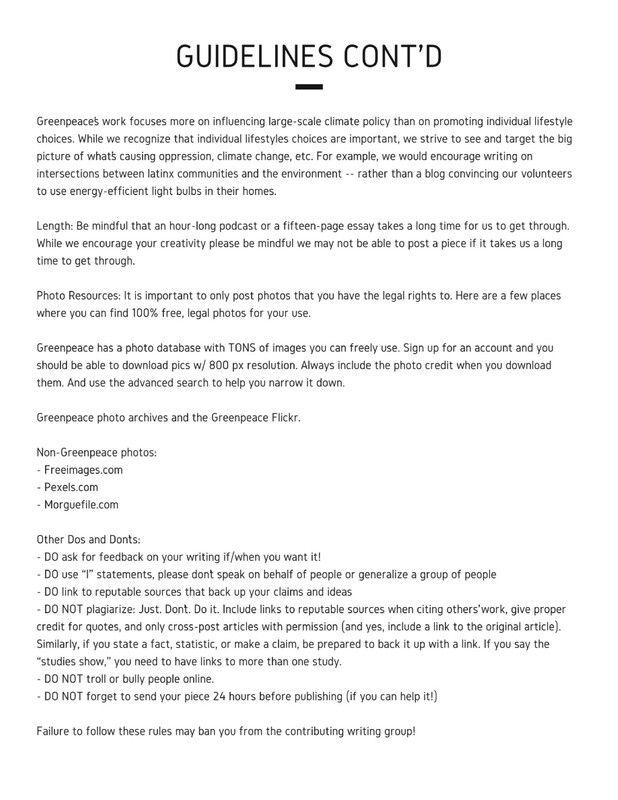 If you have neither or wish to post anonymously contact us at contributors.us@greenpeace.org. Click Dive in. 3. Finish reading this post and fill out the GREEN ZINE form! Fill out the GREEN ZINE form here. 4. Pick a date you want to submit your post! Let us know when you want to submit something so we can be sure to follow-up with you and assist you with anything you need. Go to https://medium.com and login. Click on your photo in the top right corner and click on New Story. You can now create and/or upload your work! Make sure you put in a title and at least one photo. * In the main story section, if you press the (+) button you’ll find that you can upload photos, embed links, add a video, and a break (…) to your work. When you double-click on the text you’ll find you can bold, italicize, put in private notes, change font size, and more. When you’re done with your piece and it is ready to be submitted hit the three dots […] located at the top right corner of the page. 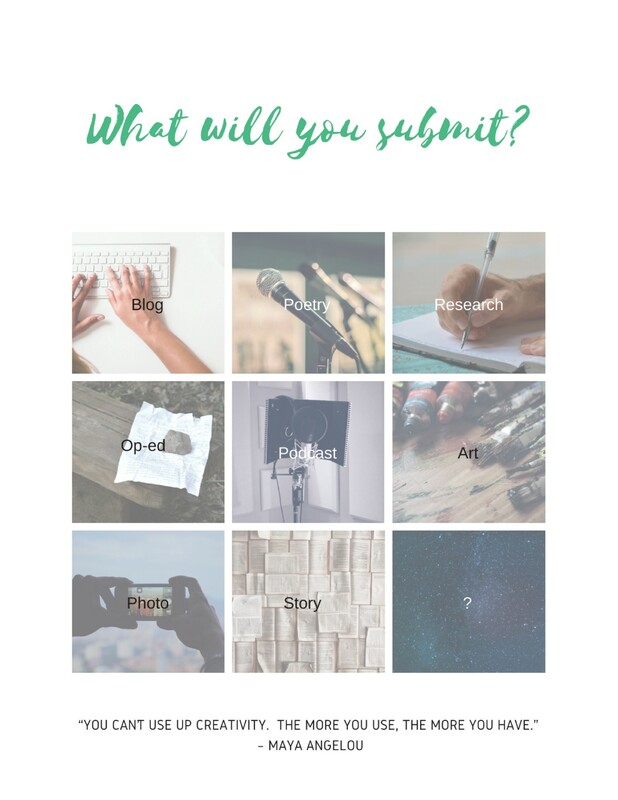 Scroll down and click on Submit to publication, then click on GREEN ZINE. Add relevant tags to your article (if you wish!) and then hit the green Publish button in the drop down menu. See guidelines on our photo restrictions below. 5. Join our FB Community! For now, we’re using Facebook to facilitate our community building so be sure to join! 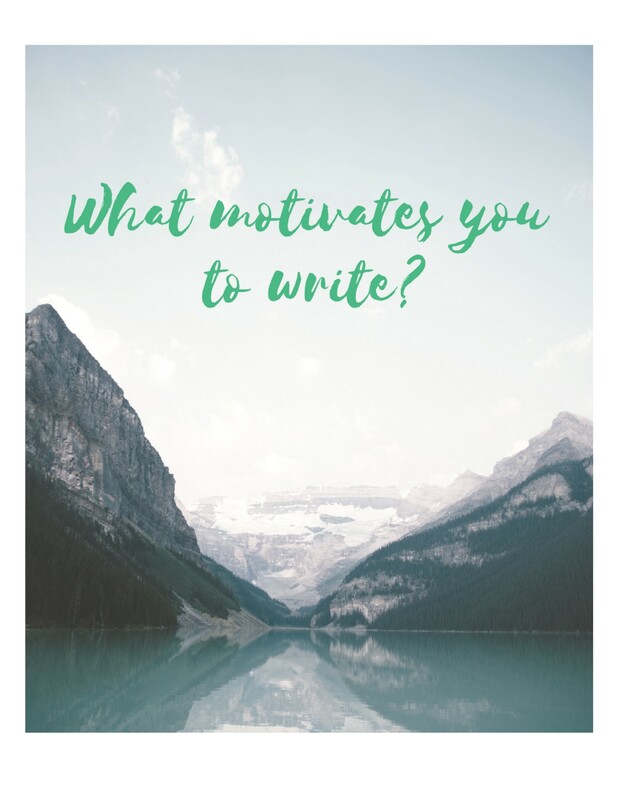 GREEN ZINE is a volunteer-led platform where Greenpeace supporters can share their writing and creativity with the Greenpeace community while building relationships with other Greenpeace volunteers. GREEN ZINE is a community that is open to all but we particularly encourage voices from marginalized communities. We hope GREEN ZINE contributors will use the platform to amplify their opinions about environmental and social justice issues. However, views expressed here may or may not represent the voice, opinions, or policy stances of Greenpeace. If you are interested in volunteering as a GREEN ZINE contributor, visit this link. Collective Liberation Believer & Mother Earth Defender. Mixed Race, Miyakoan-Indigenous, & Anti-Capitalist. Currently working @ Greenpeace. Pronouns: She/They. GREEN ZINE contributors are volunteers amplifying their voices on environmental and social justice issues. Views expressed may or may not represent the voice, opinions, or policy stances of Greenpeace. Instead, writing on GREEN ZINE reflects the creative brains of individuals.